Don’t you just love chocolate? There’s something about its creamy, gooey, mouth-melting goodness that fills us with sweetness and lifts our spirits. Chocolate has held an irresistible allure for cultures worldwide over the past 4,000 years. Get your fill of chocolate at the Puerto Viejo Chocolate Festival 2015 on the Southern Caribbean Coast of Costa Rica. Puerto Viejo’s fourth annual Chocolate Festival will be held Oct. 30 through Nov. 1, 2015. The fun Caribbean beach town of Puerto Viejo, Costa Rica will celebrate all things chocolate with the mission to “unify local organic farmers, chocolate makers and chocolatiers, while bringing national recognition to the cultural, historical, and economic value of Costa Rican cacao,” event information states. 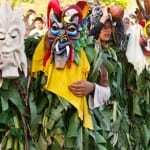 The free festival opens to the public on Friday night, Oct. 30, from 6:00 to 10:00 p.m. at Hot Rocks Restaurant & Bar in downtown Puerto Viejo. There will be chocolate tastings from local artisan producers and top Costa Rica chocolate makers, live music, acrobatic dancing, and micro-beer brewers, wine professionals and local chefs offering their wares. Events will be happening all over Puerto Viejo and the surrounding area all weekend, but Hot Rocks will be the main action point. Starting at 11:00 a.m. on Halloween Saturday, Oct. 31, you can attend workshops and presentations, and of course sample cacao and chocolate related products of Costa Rica. 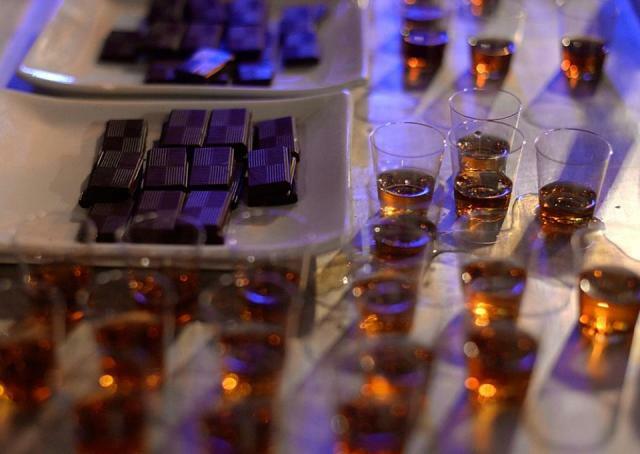 One of the most popular events year after year is the Chocolate Tasting Lounge, on Saturday night from 5:00 to 8:00 p.m., where you can try chocolate paired with whiskey, rum, wine and other alcohol. Tickets for the chocolate tasting and pairing event are available via the event’s website. On Sunday, Nov. 1, there will be special chocolate tours at The Chocolate Forest Experience; and you won’t want to miss the Puerto Viejo Chocolate Crawl when Puerto Viejo restaurants, bars, spas and chocolate shops offer small portions of their most creative uses of chocolate. The place to stay for the Puerto Viejo Chocolate Festival 2015 is upscale Hotel Le Caméléon, one of the best luxury hotels in Puerto Viejo Costa Rica. The Costa Rica boutique hotel is located just south of Puerto Viejo on one of the prettiest Costa Rica Caribbean beaches – Playa Cocles. 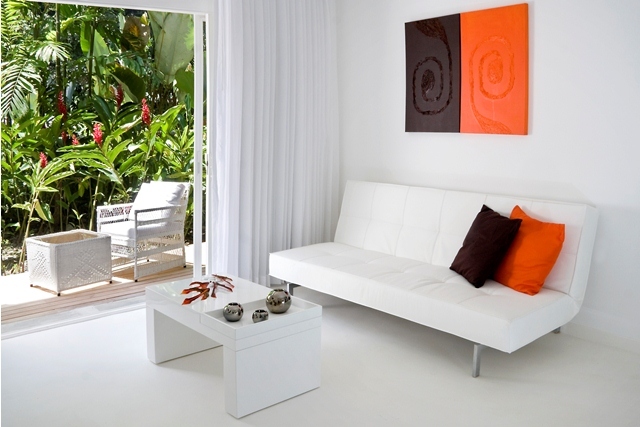 An Enchanting Hotel of Costa Rica, Le Caméléon received the TripAdvisor Certificate of Excellence for 2015. 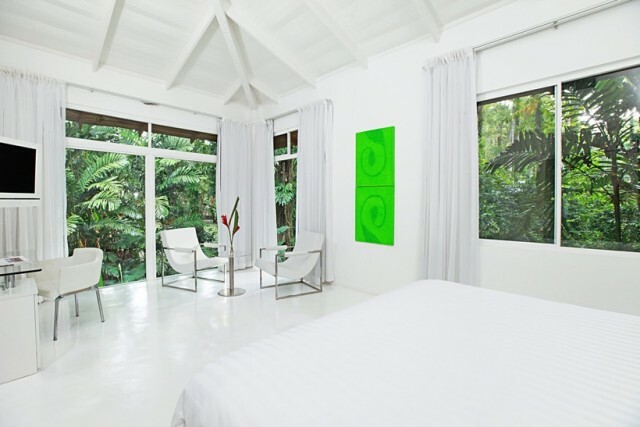 Stay at Hotel Le Caméléon for the utmost in vacation luxury and also take advantage of special Costa Rica Caribbean Summer vacation promotions during October. The Costa Rica luxury hotel is offering 20% discounts off rates for Superior and Deluxe rooms, a Romance Package for couples and a Family Package. 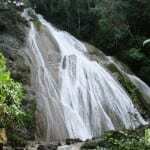 Want to go on a chocolate tour in Puerto Viejo or get a chocolate massage? Hotel Le Caméléon can arrange it for you. Chocolate comes from the seeds of the cacao fruit tree, which originated in the Americas, and grows exclusively in the tropics. 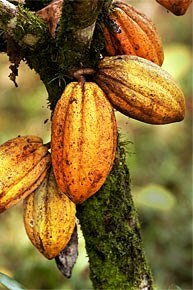 The cacao tree’s Latin name, Theobroma Cacao, means “food of the gods.” Cacao has a long history in Central America. Cacao beans were revered by indigenous peoples and even used as currency in Pre-Columbian times. In Costa Rica, cacao was exchanged for goods up until the 1930s. 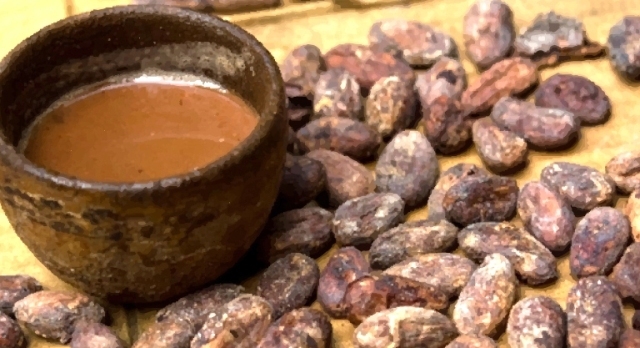 Indigenous peoples ate cacao beans for energy since they are naturally full of caffeine, are an antioxidant, and are high in Vitamin C and serotonin – the natural chemical that makes you feel happy. This leads to the theory of how cacao spread throughout Central America: it is possible that while indigenous groups migrated, they ate cacao while walking for energy, throwing the leftover bits of seeds to the wayside, which then germinated and grew into trees. 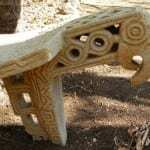 The word “chocolate” comes from the Aztec word “xocoatl,” which referred to a bitter drink Aztecs brewed from fermented, roasted and ground cacao beans. Sweetened chocolate didn’t exist until Spanish explorers arrived in the Americas and mixed in honey or cane sugar to take the edge off the bitterness. 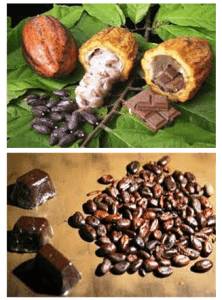 Cacao was an important export in Costa Rica for centuries until a disastrous fungus blight in the 1970s and 1980s drastically reduced cacao production by 95%. Now that the fungus has been under control for a decade or so, organic cacao and gourmet chocolate are growing into a big industry.